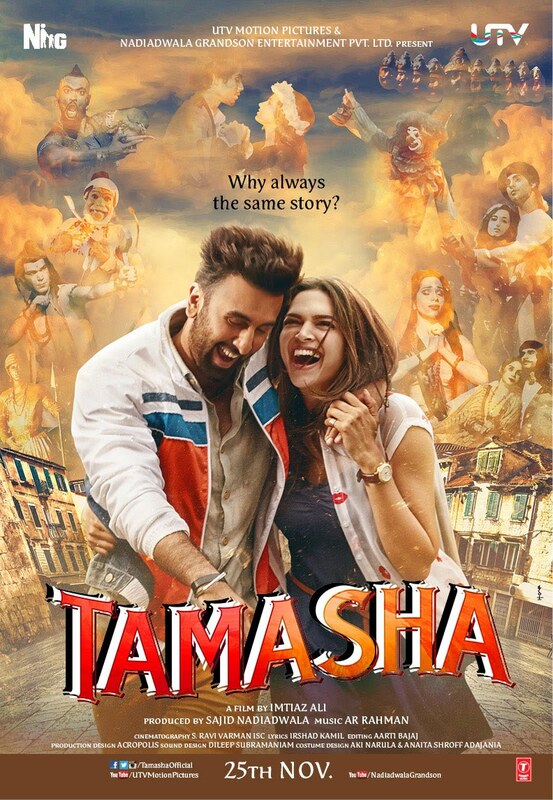 Synopsis: Tara (Deepika Padukone), a young Indian girl finds herself stranded on the French island of Corsica after she loses all her possessions. In this time of distress, she meets Ved (Ranbir Kapoor) an Indian backpacker who extends a helping hand. Ved, drawn to theatrics sets a condition to make their rendezvous more interesting. During their time together they are obliged not to disclose their real identities to each other only to make their trip unpredictable. For the next week, the two spend an indulgent time in Corsica having the time of their lives, until she finds a way to return back to India. Four years later, Tara finds Ved again. This time though, she finds him ordinary and lacking in charm that she remembered him for and ultimately rejects his proposal. Ved is unable to handle the rejection which further triggers a chain of events. He realizes the instincts that Tara missed in him and this now leads him on a journey of self-discovery as he sets out to pursue Tara. The film is directed by Imtiaz Ali (Highway, Cocktail, Love Aaj Kal) and produced by Sajid Nadiadwala.